First there were figures that were replaced by works in graphics. Then even that was gone. Color was taking a big space. Today I dwell on the research of the inherent qualities of nature and its forms. When I discover a new motif or material, I spend a long time studying and seeking to master its technique, or rather, trying to get intimately acquainted with it. I like to start from a monochromatic background that precedes a variation of tones, giving the impression that the internal color of each work emerges from the bottom of the canvas. I use the old glazing technique in a contemporary and personal way. The glazing concept lends itself to my desire to celebrate the beauty and diversity of life, which coexist harmoniously through overlapping and translucency. In this cauldron of mixtures I meet with the beauty of life. A beauty that my childhood eyes eagerly search and that I encounter, at the end of each work. Experience Registered at ProZ.com: Apr 2018. 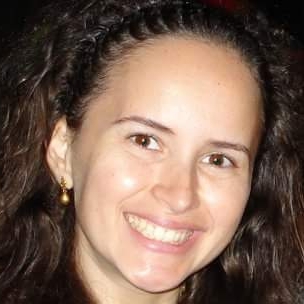 I am a native Portuguese speaker from Rio de Janeiro, Brazil. A professional with experience in communication, e-commerce and marketing with a strong visual sense and the ability to translate ideas and concepts. An organized and effective project manager with an overview and the ability to identify tasks to optimize time and cost. A confident and concise communicator, able to quickly acquire knowledge.